Cilantro and lime is one of my favorite combinations. I usually have a few citrus fruits around, but I always forget about them. Unless I am squeezing lime into my vodka. Then I always remember. Or until they rot in my refrigerator. Our fridge is like the black hole of darkness. Things go in and never come out. That is, until I see brown slime pooling in the crisper drawer. Then I know it’s time to clean. And at that point, I probably still have not done laundry in 7 weeks. In an effort to not be wasteful, I wanted to use multiple citrus fruits for this shrimp dish. I love fruit and all things sweet. I know you didn’t know that about me. I also gave each of these babies a good zest. The colors were pretty and it smelled phenomenal. Remember, I am easily distracted when a bright color catches my eye. I have learned that I do enjoy zesting without Mother Lovett yelling in my ear about how I am doing it wrong. But I still miss it. After layering the fruit slices on the plate, I sprinkled them with a tiny bit of sugar. I wanted to just eat these as my dinner. I refrained. Urgh. Men and their 2-year old tastebuds. Somehow, by the end of the evening the entire plate was devoured. And it wasn’t because of me. I was too busy stuffing my face with fondue for the fourth time this week and scarfing brownies. Even more evidence that it wasn’t because of me? The entire plate edge was covered in wiped-off cilantro. I would never commit such a sin. Somebody please get me a lock and key for my mouth. 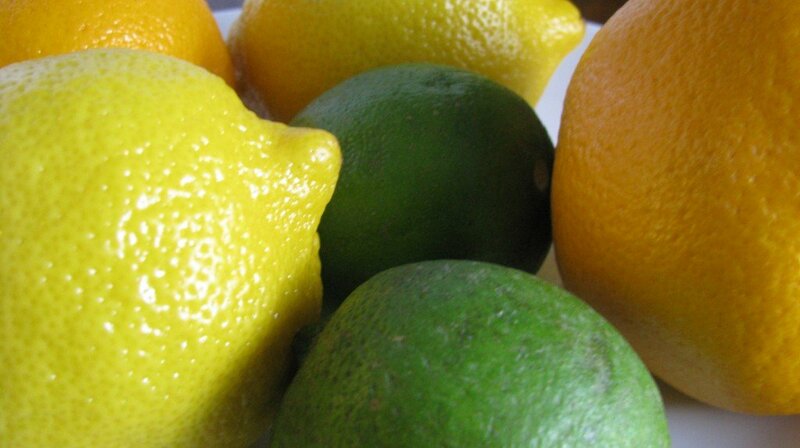 Zest a lemon, lime and orange to get about 1/2 tablespoon of zest. 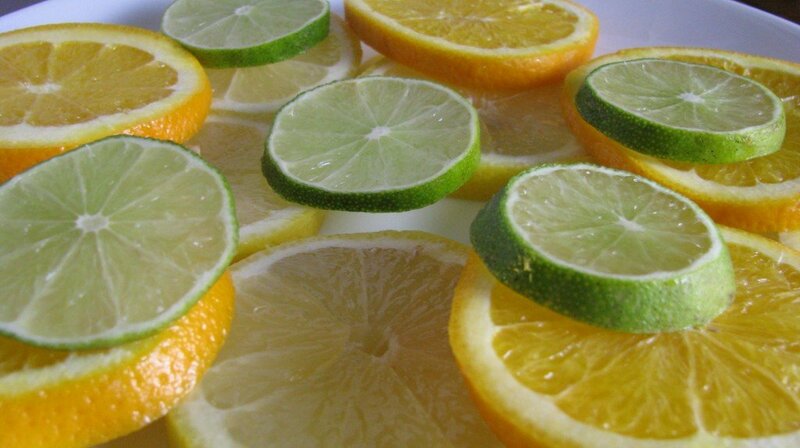 Slice one lemon, one lime, and one orange and layer them on a large plate. In a bowl, mix oil, Tabasco, and soy sauce. Juice one orange, one lemon, and one lime into the bowl. Add zest. Add shrimp and toss. 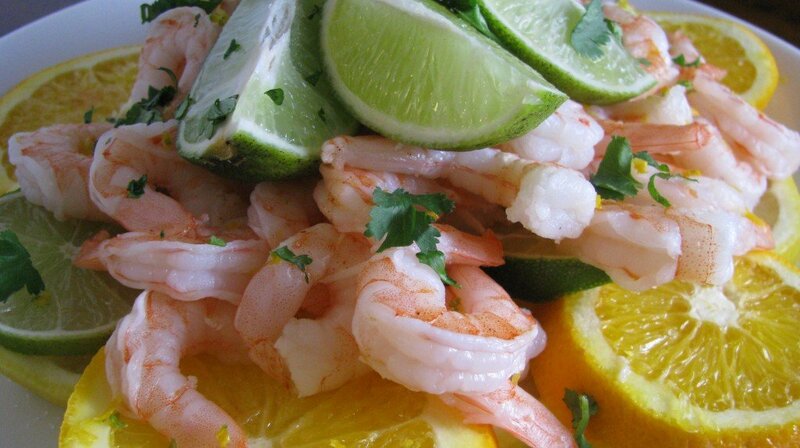 Layer shrimp on citrus slices. Top with cilantro and lime wedges. This makes such a tasty and fresh appetizer. Just make sure you have some men in your life that like fruity dishes filled with cilantro. Mmmm, that looks delish. I have a man in my life that loves all things fruity…including watching Lifetime. WOW! I want that dish sooo bad. I absolutely love all of the ingredients especially the citrus and cilantro combination. Too bad my B.F. hates Cilantro! I don’t get how anyone could but he thinks it tastes like soap! This looks and sounds SO good. Your photography is beautiful, too!